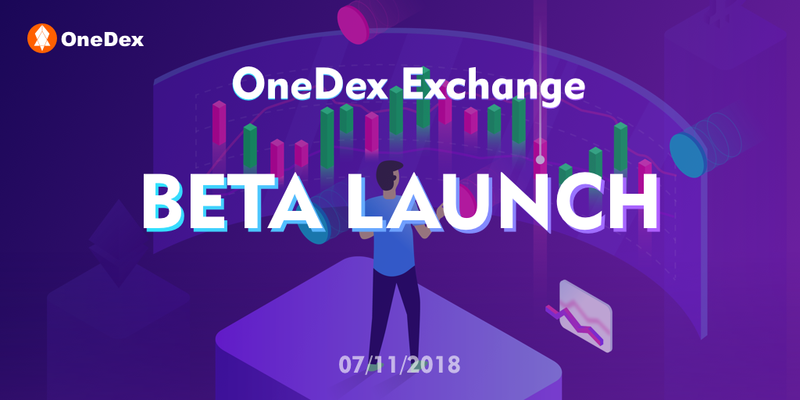 OneDex- Beta Version of OneChain’s Exchange lunched! We are proud to say that this marks another significant milestone in OneChain history. OneDex is another product released by OneChain team, which is the first completely decentralized exchange based on EOS. Leveraging blockchain technology, OneDex aims to offer access to practicable cryptocurrency-trading at a low cost, with no need for deposits and a high degree of security. Orders and matching are all processed on chain, which means a high level of data transparency and strong real-time performance. Also, OneDex supports all EOS based crypto assets, listing the new launched tokens automatically and open trading pairs immediately. All you need to do is just focus on the tokens and get your Wallet ready. We’ll take care of the rest. Let's talk about the features! Completely decentralized. Exchange records and capital flows are stored on chain. Real-time data is readily checkable. Support all EOS based tokens, listing the new lunched EOS tokens automatically, start to trade immediately. Private keys are only kept by yourself, trade via wallet directly, with no need for deposit and withdrawal. Here’s comparison of features that shows the differences among centralized, semi-decentralized and OneDex. Differences among centralized, semi-decentralized and OneDex exchange. P.S: Attention for all users. We remind users to invest these crypto assets that issued on reliable smart contract, so as not to cause unnecessary damages. That being said we encourage all members of the OneChain community to start trading and invite your friends to join in. We’re excited about the work our designers and developers have put in to make OneDex a delight to use.